I've started re-doing our family room gallery wall. Two things checked off my list and many more to go (changing frames, spray painting some gold, adding fun decor, etc.) I got a 16x20 canvas from Easy Canvas Prints, and am so happy with the quality of the canvas. Not to mention, the shipping was really fast and I got the canvas before I was supposed to. When does that ever happen these days? I can't tell you how nice of a feeling it is to have ALL of our Christmas presents wrapped and under our tree. Those of you who get it done early, props to you! I see the appeal, I really do. Not only do they look pretty, but it is just one less thing I have to do before next week. 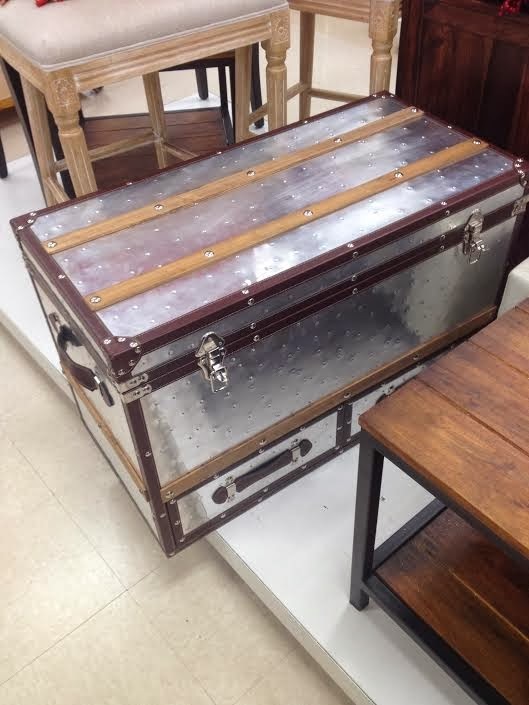 I spotted this trunk at Home Goods the other day and decided I couldn't live without it. I asked your guys' opinion (via instagram) and you agreed it was a keeper. She is going at the end of our bed and I plan to store sweaters and winter accessories (hats, gloves, etc.) in it. Remember how I mentioned Fireside and Mahogany Teakwood were my favorite B&BW candle scents? THIS one just took over...go buy it. You will love it. Now, only one and a half days of work stands between me and a little holiday break..I.got.this. We actually have a wedding tomorrow night and I'm really excited to see my beautiful girlfriend, Jessie, as a bride and to go to a winter wedding. I don't think we have been to a wedding in the middle of winter before, but the weather says it's going to be 55 degrees so that is definite plus for us ladies in dresses. Amen. We are also celebrating Christmas early with my parents and my Mom's side of the family since we are heading to Cleveland for Christmas! What are you doing the last weekend before Christmas? You can follow me on instagram for more weekend updates if you'd like! I love that flannel candle! You're so right. It's a great scent. 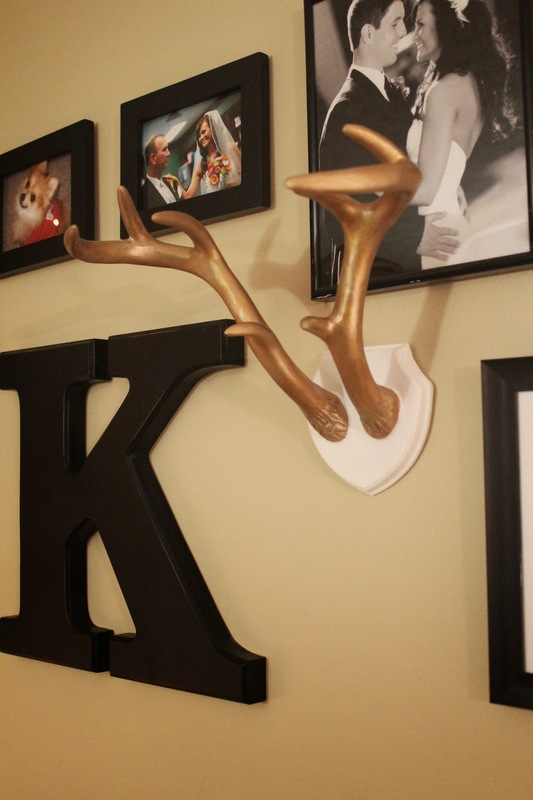 I also love your new collage and the gold antlers! LOVE that canvas! We ordered one for my parents for Christmas! I can't wait to see how it turns out! TJ Maxx / Homegoods sells te best wrapping paper! I always find the cutest prints, at a good price and the paper is so thick! Love your canvas print! We just received one recently and I blogged about it too! Happy Friday!! I really like that Canvas! Thanks for the heads up I will definitely keep that company in mind. Your wedding picture with the red shoes is beyond adorable! Home Goods is my favorite place to find home accents! I totally don't want to take down my Christmas decorations either...my house feels so warm and cozy with all the Christmas lights and candles. I definitely need to try that candle ASAP! I would looove to leave my Christmas up year round, my house just looks better I think! Yours looks great! Have a Merry Christmas girl! 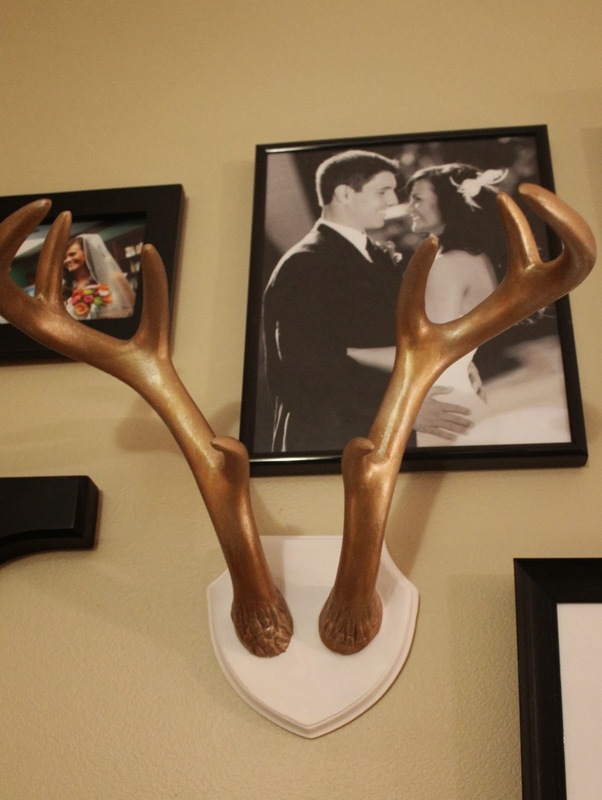 Love those antlers. I think it would also be great to store jewelry on :). I also love that you got a friend to wrap your presents haha! That is a nice friend right there! Love the look of that gallery wall! Your wedding pictures are adorable! That trunk is going to be perfect ~ pretty much anywhere! Love your gallery wall!! Happy weekend…and getting a friend to wrap your gifts…pure genius! 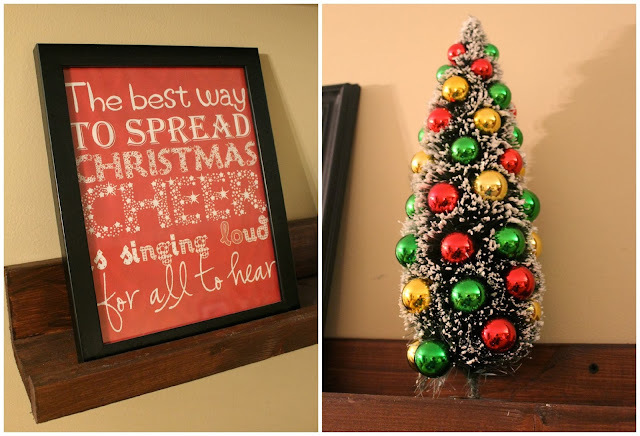 The best Christmas decoration for my home are the photos of my family made on canvas from www.purecanvas.com I love them.